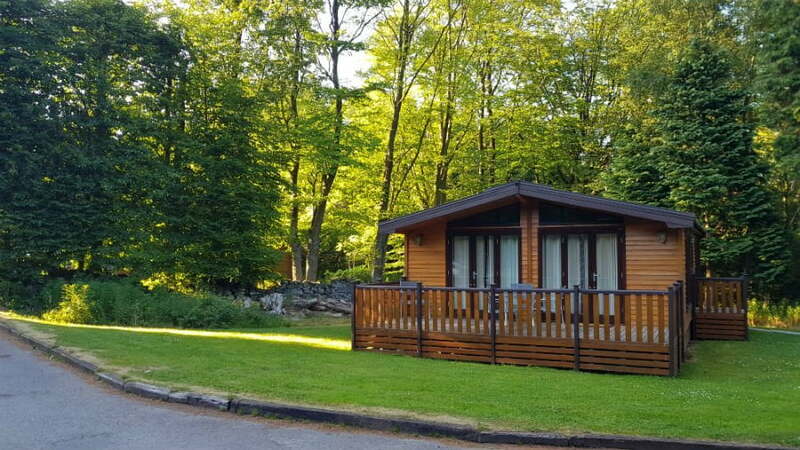 Darwin Forest is a 5* holiday park with luxury lodges close to Matlock Bath and Bakewell in the Peak District. 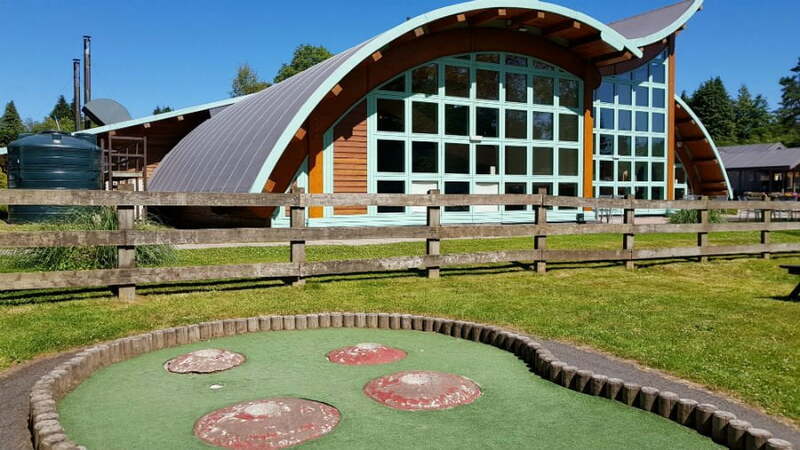 It is one of the UK’s top holiday parks with 47 acres of woodland to explore as well as an indoor swimming pool, play centre, activity den, playground and loads of fab places in the local area to visit. 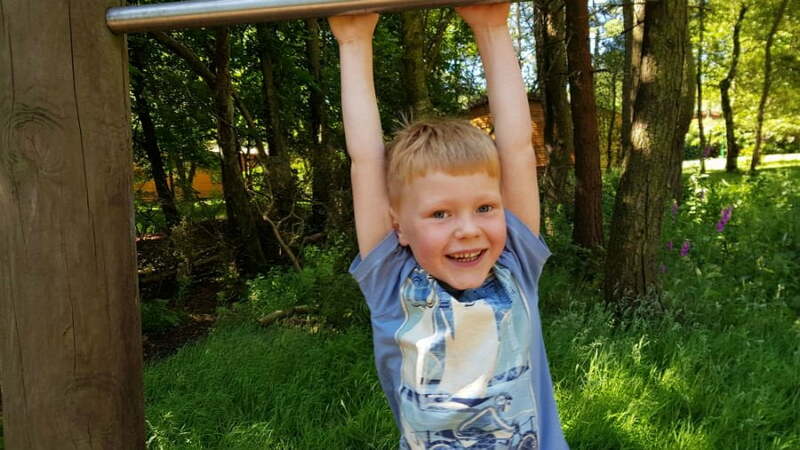 Read on to find out why Darwin Forest is an ideal place for a relaxing and peaceful family holiday with a toddler. 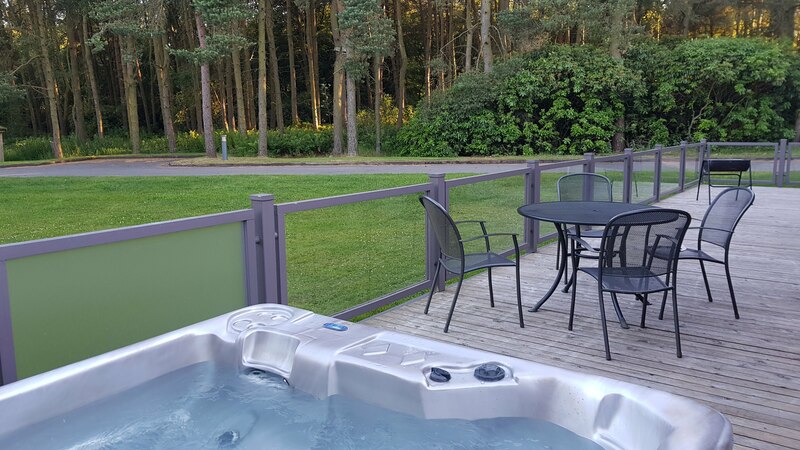 Lodges with hot tubs available! 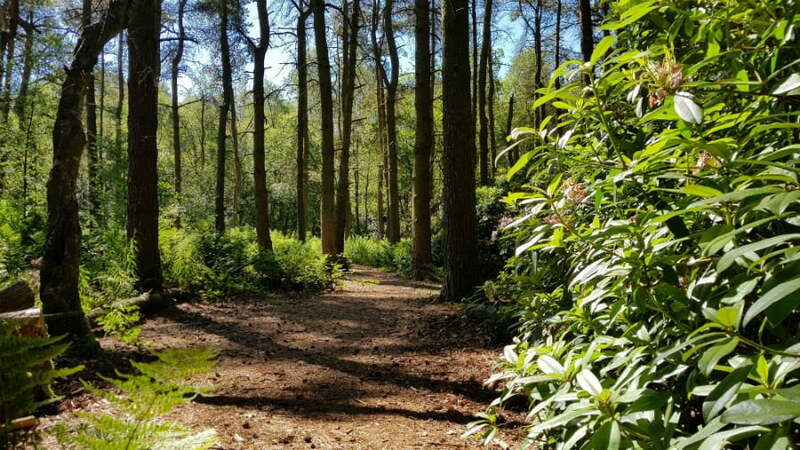 Darwin Forest Country Park is located in the heart of the Peak District National Park. 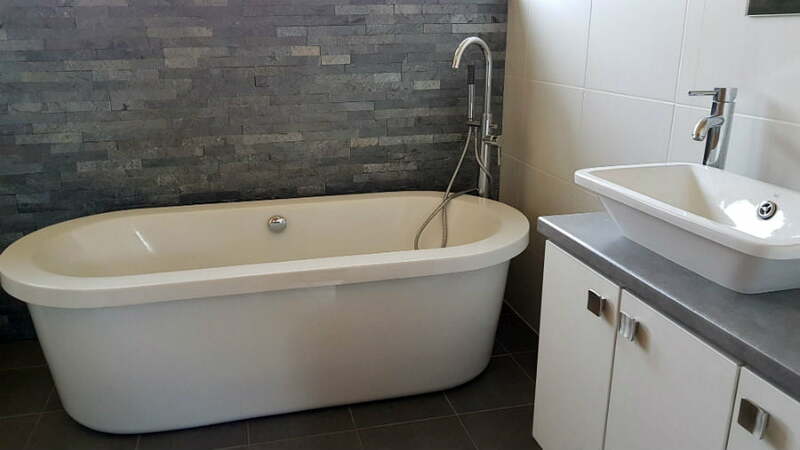 It is close to the M1 motorway and famous attractions like Chatsworth. 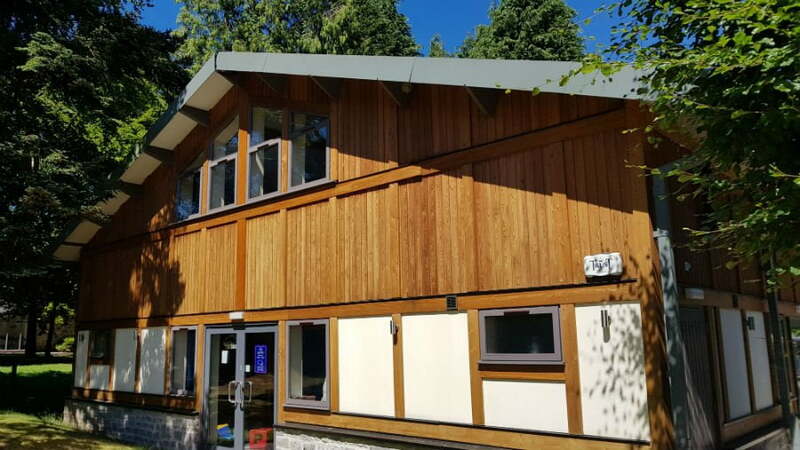 There are a variety of lodges at Darwin Forest ranging from Classic lodges through to the new dog friendly lodges at The Coppice, and spa lodges. 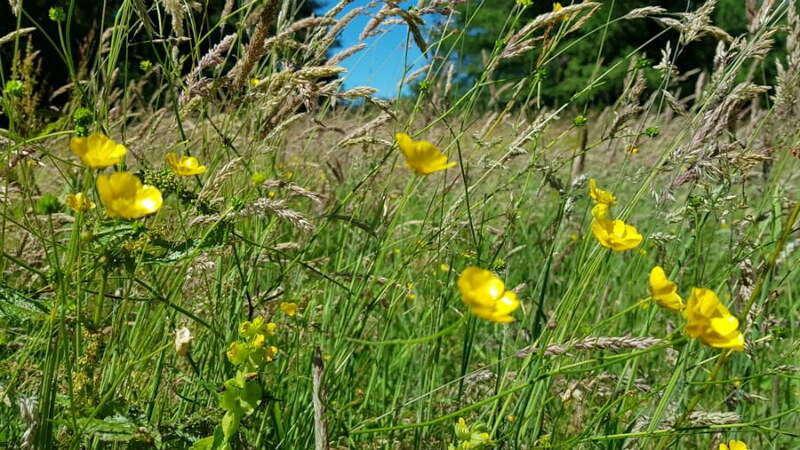 They are all luxurious with plenty of space between them, and either a woodland or a parkland view. 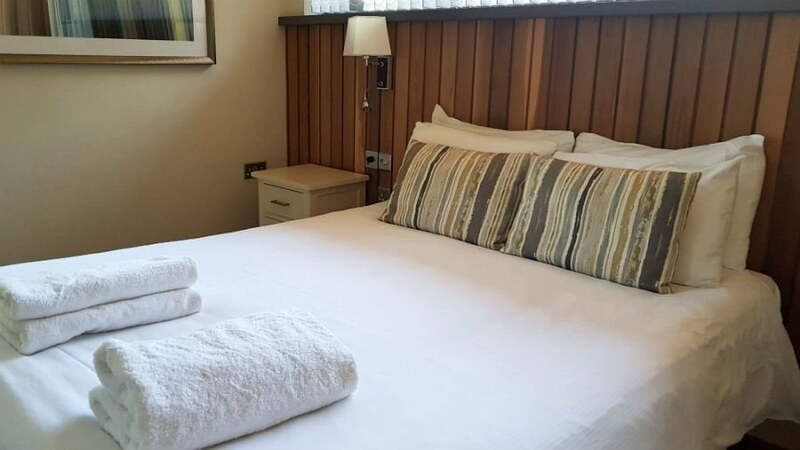 The lodges at Darwin Forest are incredibly well equipped with an emphasis on comfort, relaxation and making the most of the surrounding forest environment. 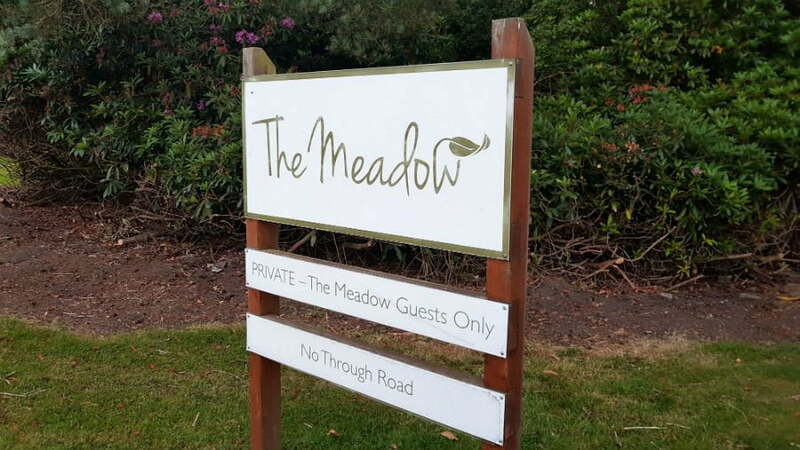 We stayed in a lodge in The Meadows which had a large outdoor decking area, secluded hot tub and floor to ceiling windows throughout. 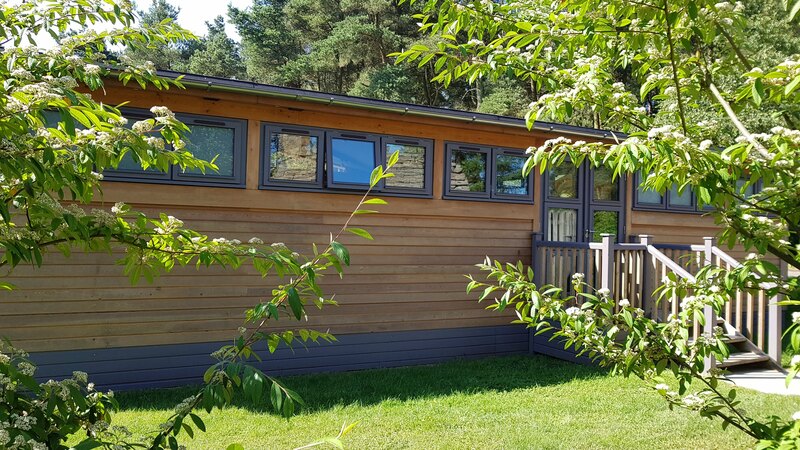 Perfect for a UK holiday with a toddler, the lodge had 2 spacious bedrooms, 2 bathrooms – one with a freestanding bath, and a well-equipped swish kitchen with a Nespresso coffee machine. Plastic cutlery and non-slip bath mats were provided, and cots and high chairs can be borrowed for a small fee. 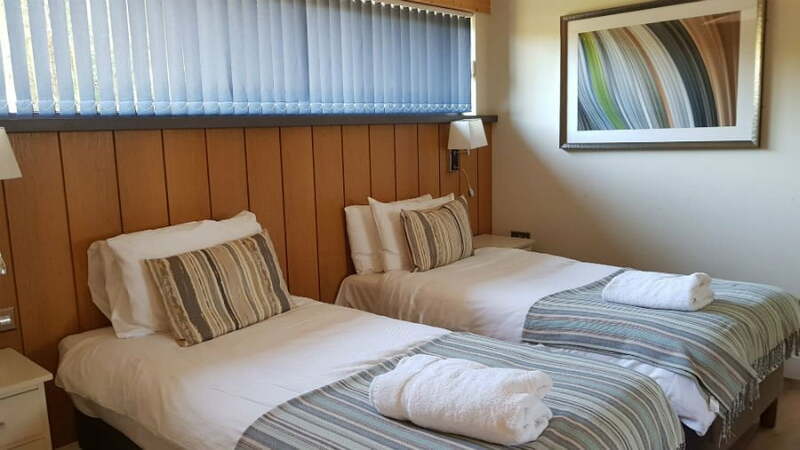 Both bedrooms had a flatscreen TV and plush bedding and towels. 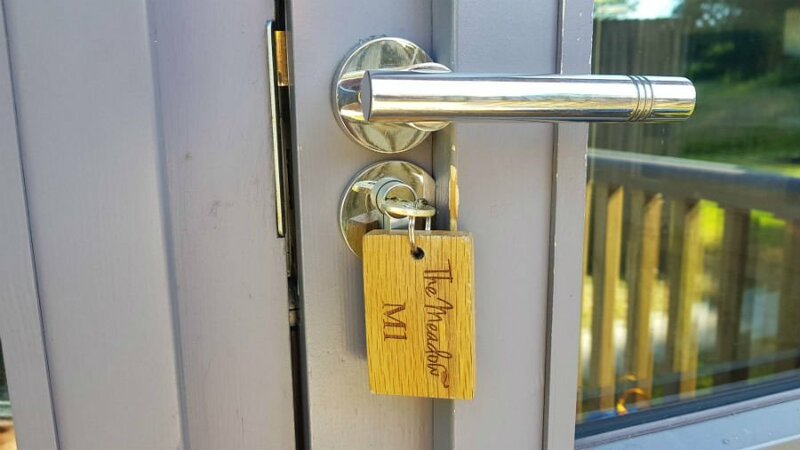 BBQs can be borrowed from reception. I saw a quote earlier today which I really liked. 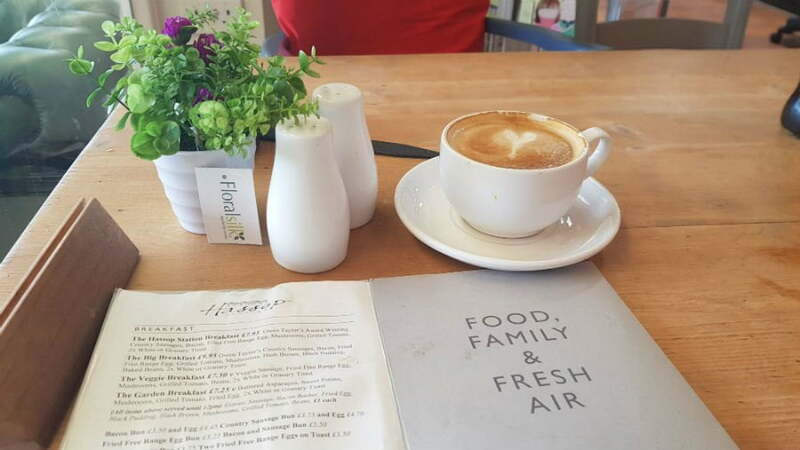 It was talking about the benefits of ‘Food, Family and Fresh Air’, and for me this sums up a holiday at Darwin Forest. 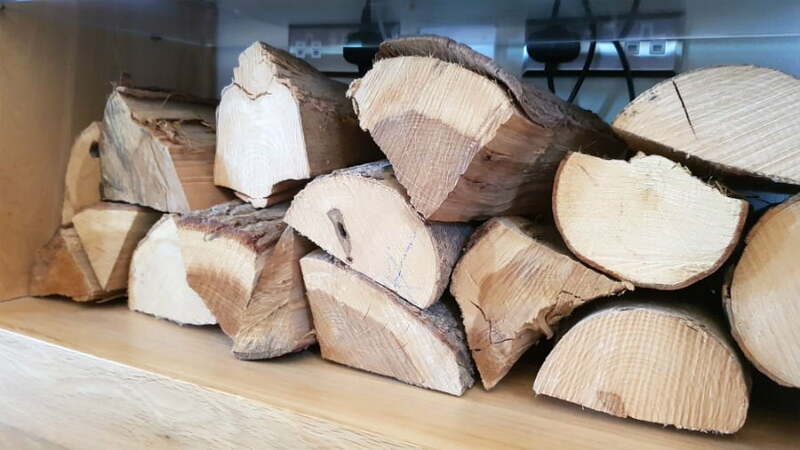 Toddlers and children are happy with the simple things in life; playing with sticks, building dens, getting dirty and at Darwin Forest this is the perfect place to just let them play. 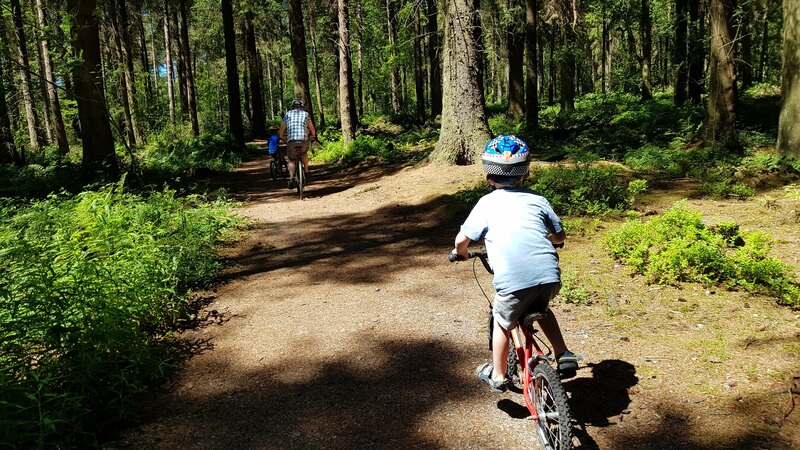 We spent a whole morning doing the Woodland Walk, and then the whole afternoon cycling around the forest – who knows where the time went but we all had a magical time spending time together and being outside. 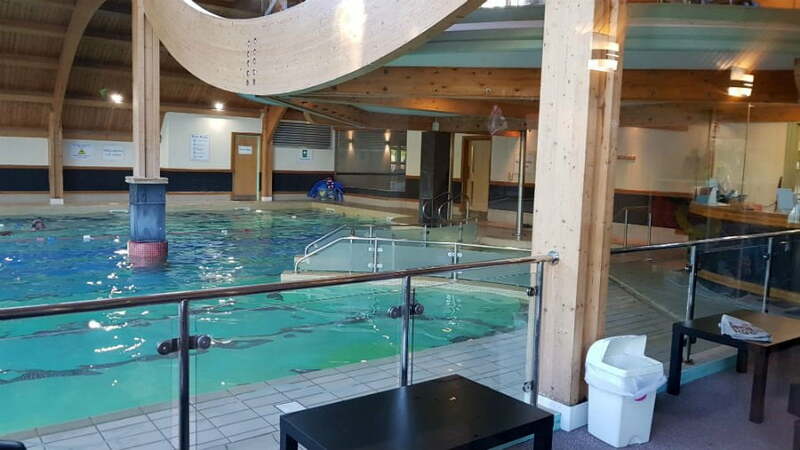 The Evolution Health and Fitness suite includes an indoor swimming pool which is free for guests – perfect for water babies. 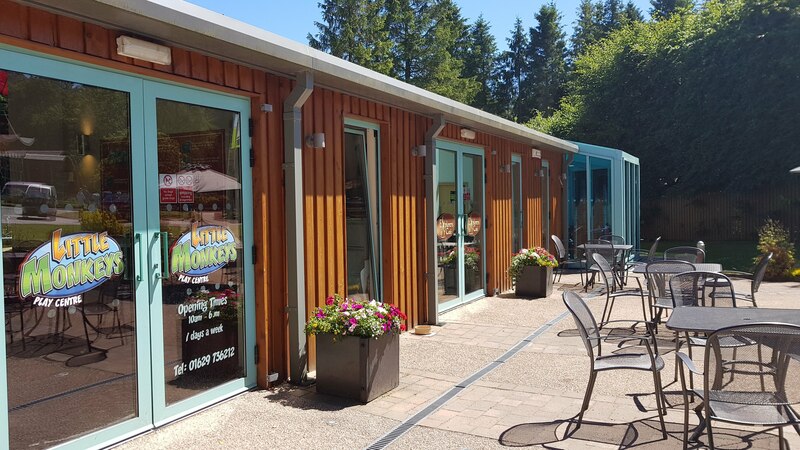 Little Monkeys is an awesome indoor soft play area with a ball pool, slides, bridges, tubes and tunnels for children to play in. There is a dedicated toddler area too. 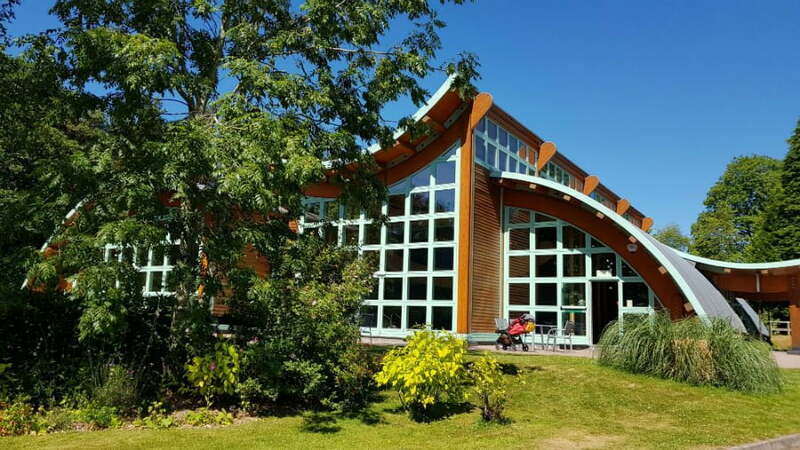 Parents can relax in the Explorer’s Café which serves fresh coffee, breakfast, snacks and meals throughout the day. 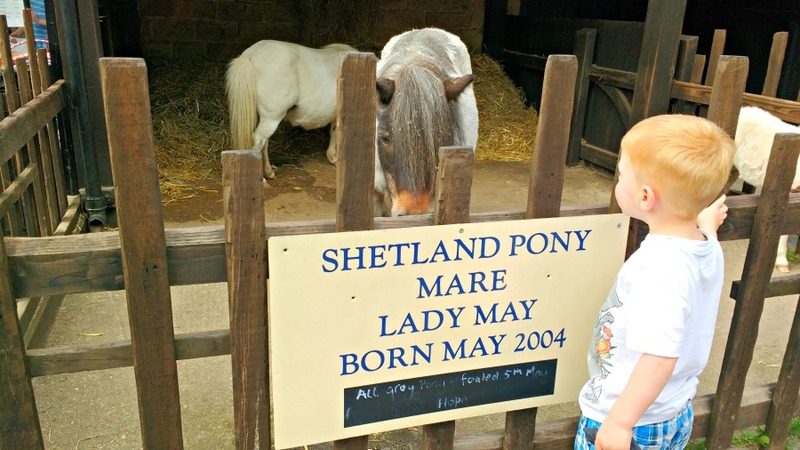 Discounted entry (£3.50 per child) is available for park guests. A great option for a rainy day! The Activity Den mainly has activities for hard to please teenagers (pool tables, arcade games etc) but also has a free indoor soft play area just for Under 5’s. Like everything at Darwin Forest, this is spotlessly clean with comfy chairs and magazines so parents can chill out too. 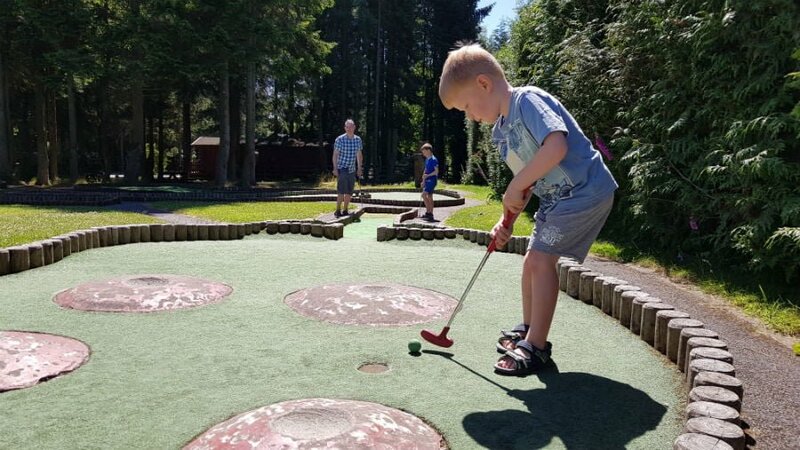 We had great fun playing mini golf at Darwin Forest. 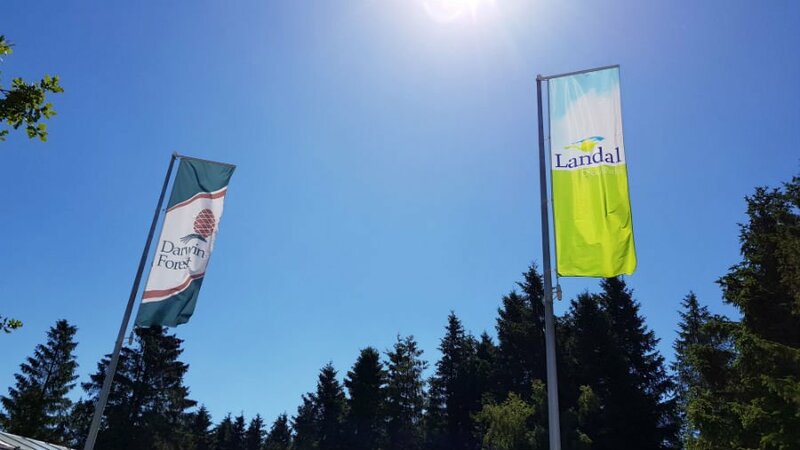 Clubs are available to borrow from Reception (small charges apply) and there are some challenging holes with hills, tunnels and obstacles along the way. 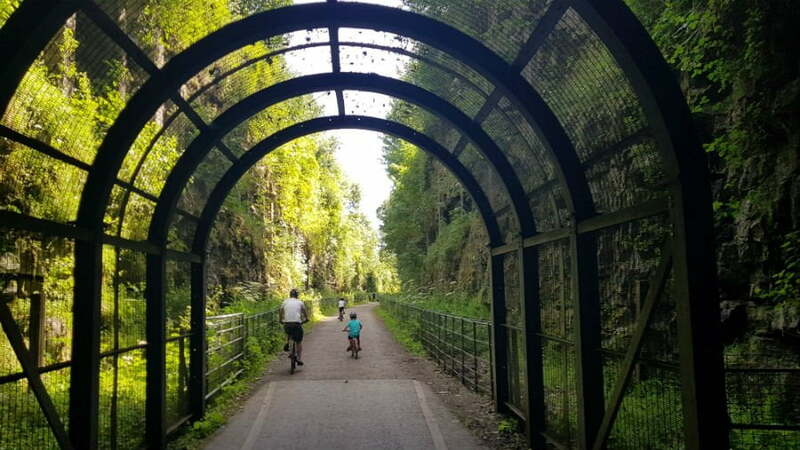 There are cycling trails through the forest at Darwin Forest, but the Peak District is well known for its traffic free cycling trails (more later). Bike hire (including tag alongs) is available from Reception. 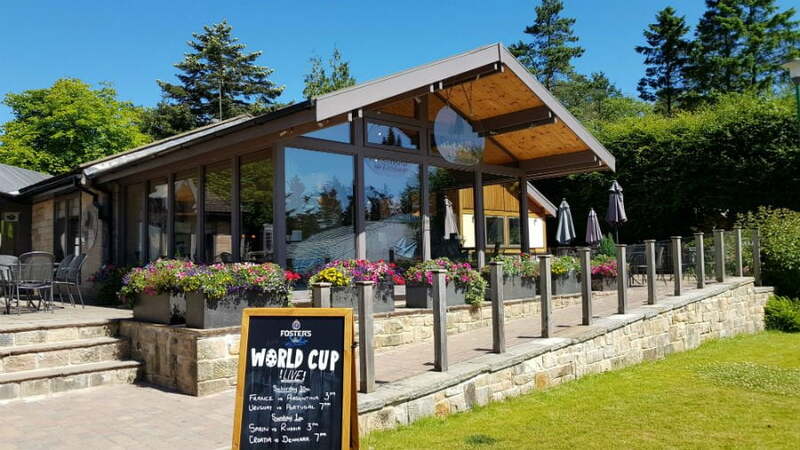 The Foresters Restaurant serves excellent food daily from midday onwards. 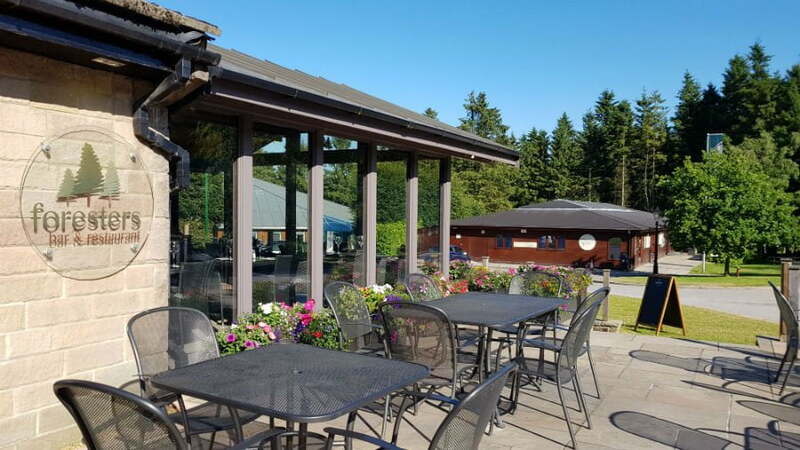 We were very impressed by both the quality of the food and customer service at the Foresters Restaurant, and I’d definitely recommend it to families staying at Darwin Forest. 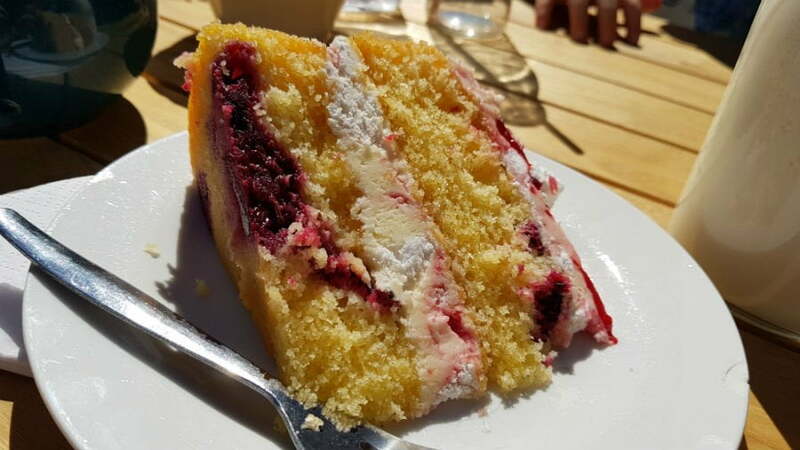 There was a dedicated Children’s Menu with favourites such as fish and chips, pizza, chicken burger and tomato pasta for £5.95 each followed by deserts from £2.95 each. The ‘adults’ menu had a full range of family favourites including pizzas, burgers, fajitas and a daily specials menu. When it’s warm, you can eat outside on the patio which is adjacent to the playground. 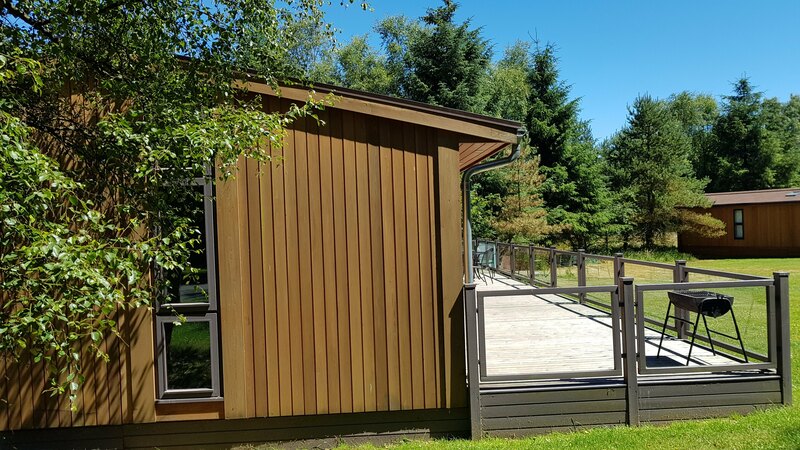 There is a woodland playground at Darwin Forest which includes a pretend train! The Peak District has over 65 miles of traffic free trails and you will be rewarded by stunning views if you choose to explore it on 2 wheels. 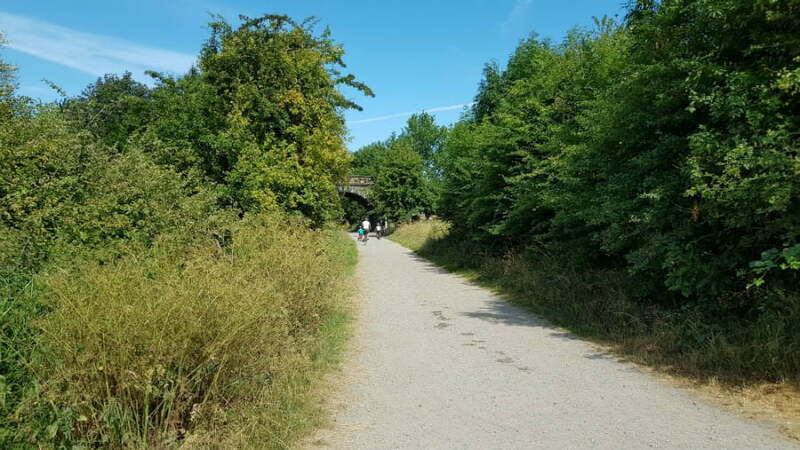 Drive to Hassop Station where you can park and hire bikes to explore the Monsal Trail. 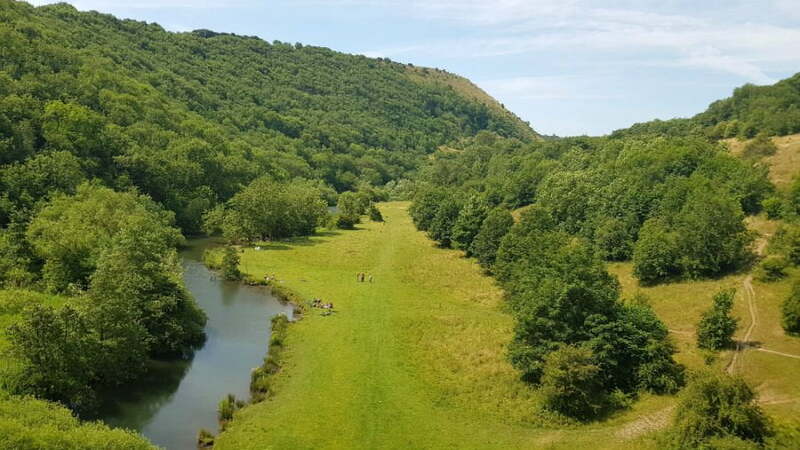 We headed ‘up’ the track towards Wye Dale and got stunning vistas of Monsal Dale including cycling through 3 former railway tunnels! 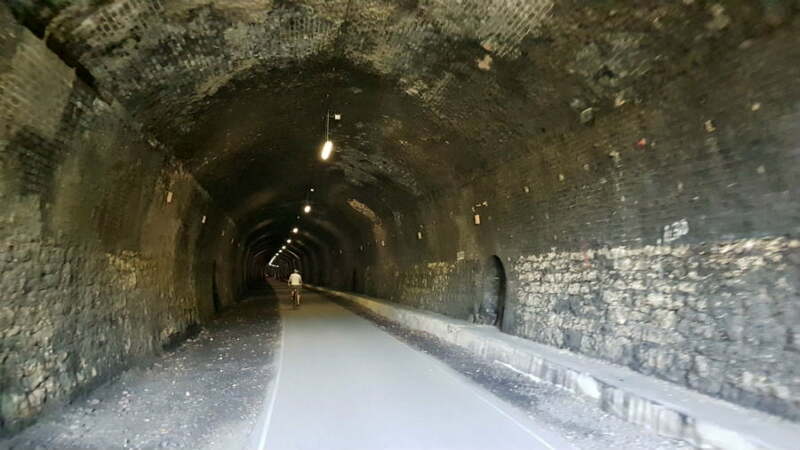 These tunnels are more than 400m long and are fully lit during daylight hours – whizzing through them is loads of fun! The town of Matlock is a short drive from Darwin Forest. Don’t miss a trip to Sara’s Snug for a popcorn milkshake (loads of other flavours available, but my boys chose this!) and then have a wander around Hall Leys Park with its playground, paddling pool, mini train and boating lake. One of my favourite days out in the Peak District! 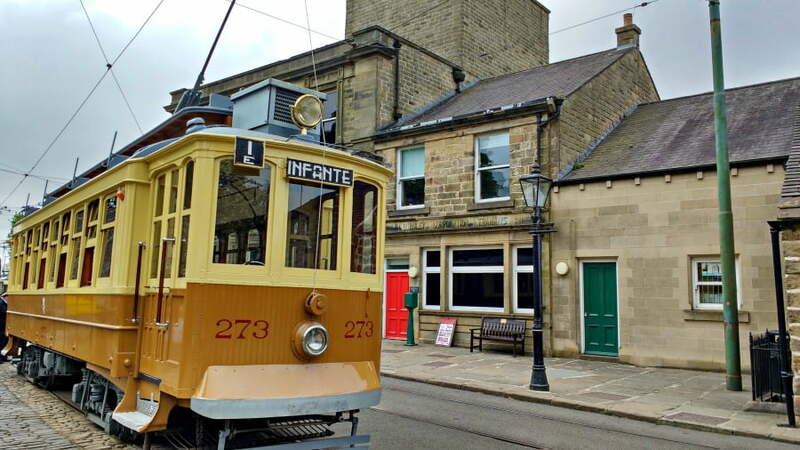 Crich Tramway Village is the home of the National Tramway Museum and is the perfect day out for transport loving toddlers. 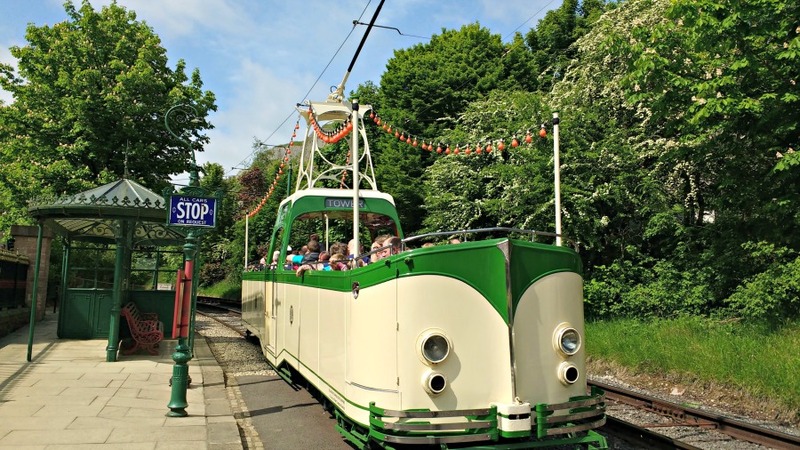 Once you’ve bought your ticket, you can spend the day hopping on and off vintage trams travelling along a mile long stretch of track. There is a playground, indoor tram attractions and a recreated village scene too. Gulliver’s Kingdom is a theme park specially designed for children aged 2 – 13. There are loads of rides for toddlers in Adventure Land, Dinosaur Kingdom, Liliput Land and a special Under 5’s indoor play area in Toyland. Gullivers is only 15 mins away from Darwin Forest. Another must visit day out in the Peak District! 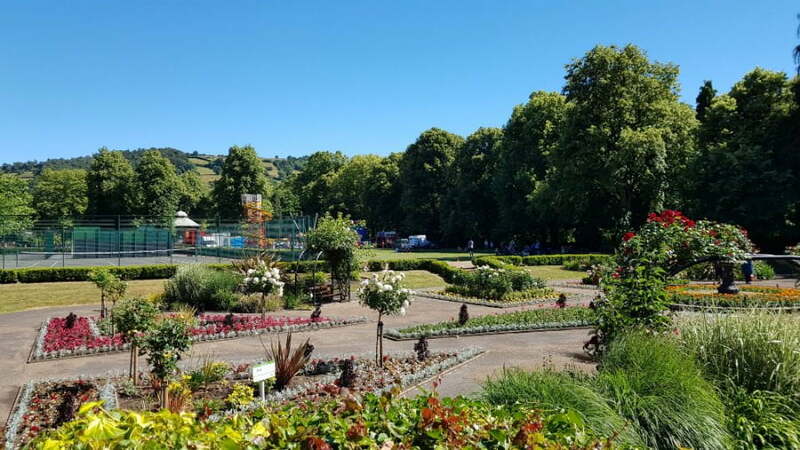 Take the 7 minute cable car up to the top of High Tor hill, and spend the rest of the day exploring the 40 acre hillside park, cave, fossil factory and 2 playgrounds. Chatsworth is just a 15 minute drive from Darwin Forest too. As well as the formal gardens, there is an amazing farm which opened in 1973 to show children where their food comes from and how the land at Chatsworth is managed. There are pigs, donkeys, chickens, sheep and lots of feeding demos and opportunities to meet the animals. 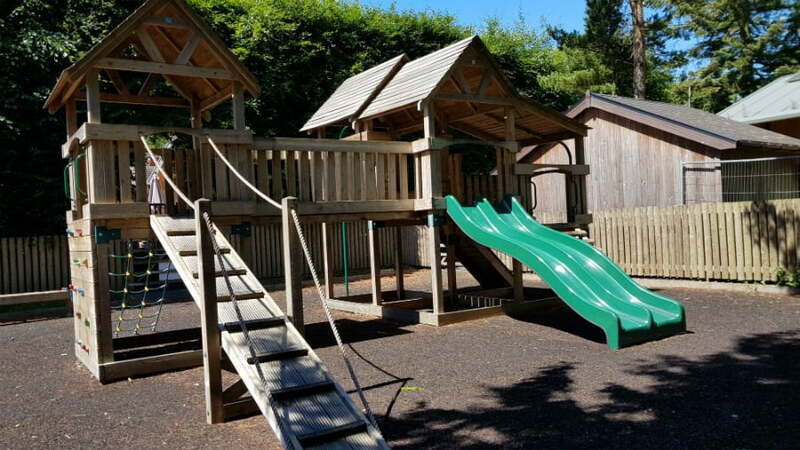 Toddlers will love the massive play area which includes a separate toddler area and a large sand and water play area. 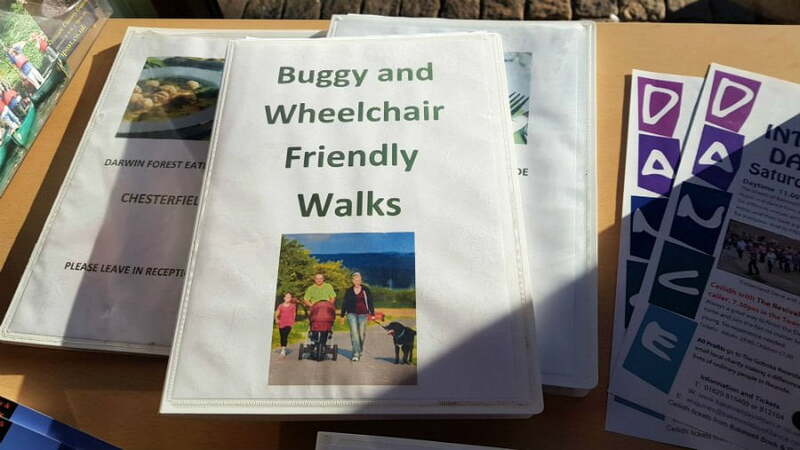 There is a folder in the Darwin Forest Reception which is packed full of buggy friendly walks in the local area. Check out the ‘Tea Rooms’ folder next to it too for some ideas about places to go after your walk! 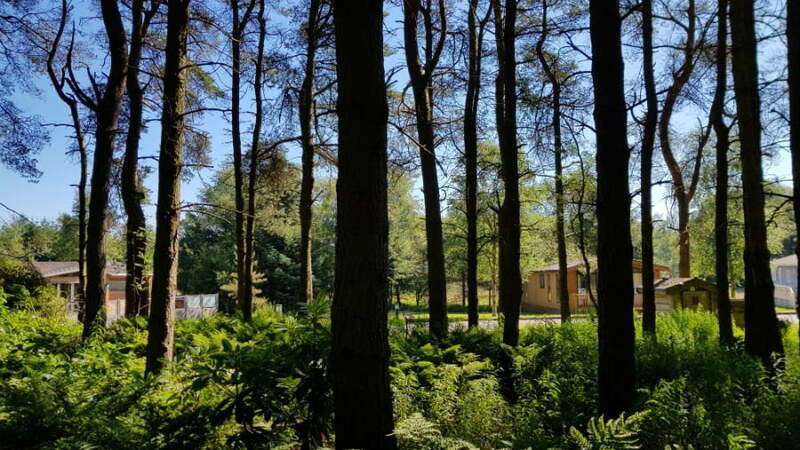 Watch this video for a little taster of a holiday at Darwin Forest! Free WiFI is available in lodges. Mobile reception is a bit patchy but the park is in a rural location. There is onsite shop which sells everything you need. Guests can order supermarket shops to be delivered to their lodge too. 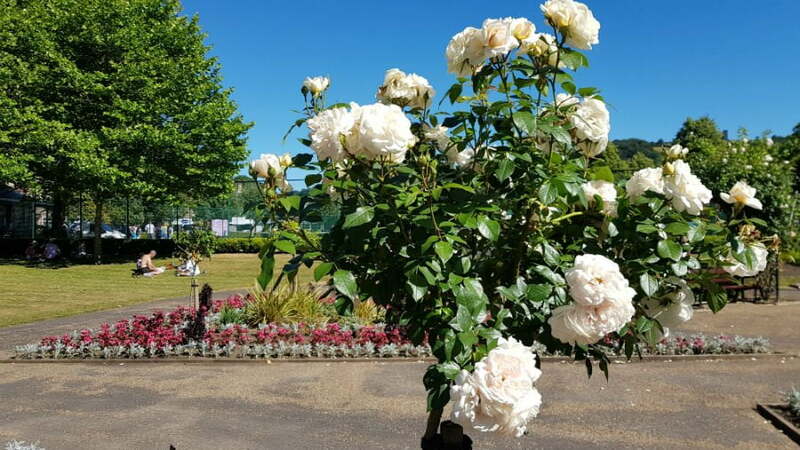 Discounted tickets to local attractions such as Chatsworth, Crich Tramway Village and the Heights of Abraham are available from Reception. Sincere thanks to Darwin Forest for our stay.